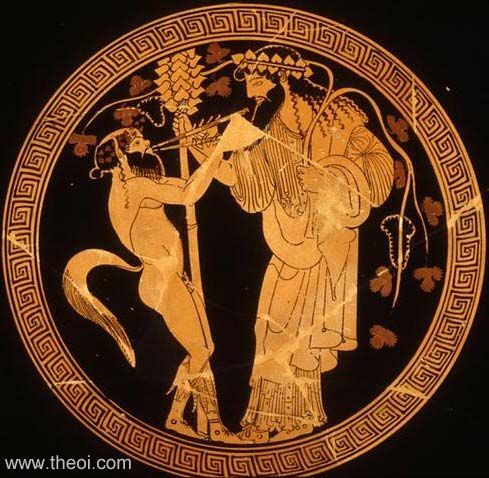 The Theoi greek mythology website is the Mount Olympus of all websites about the Greek gods. Everything you ever wanted to know with terrific illustrations from ancient Greece & Rome. The Ancient Greece website is illustrated with objects from the British Museum. Check out symbols, objects, places and festivals of each god or goddess. 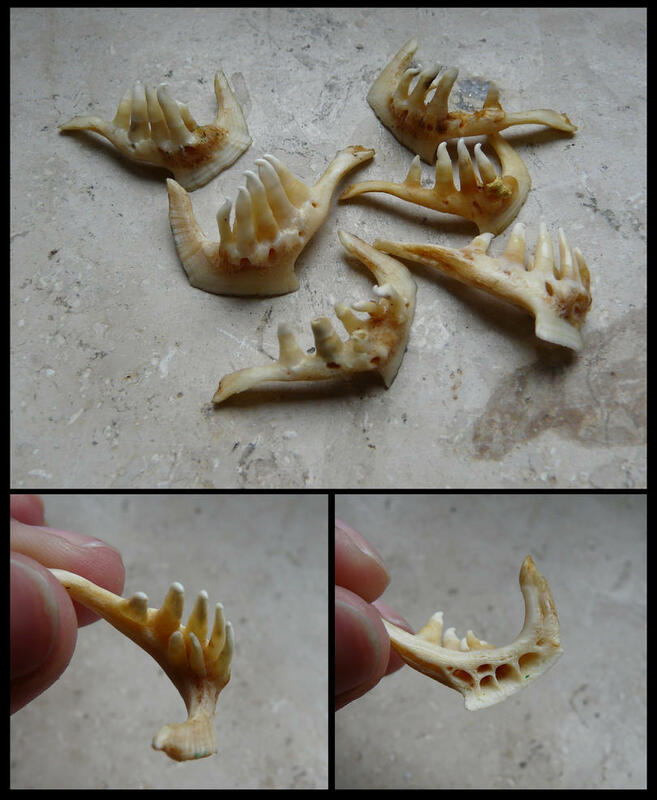 Talos was inspired to create a saw by the teeth of the fish he was eating. 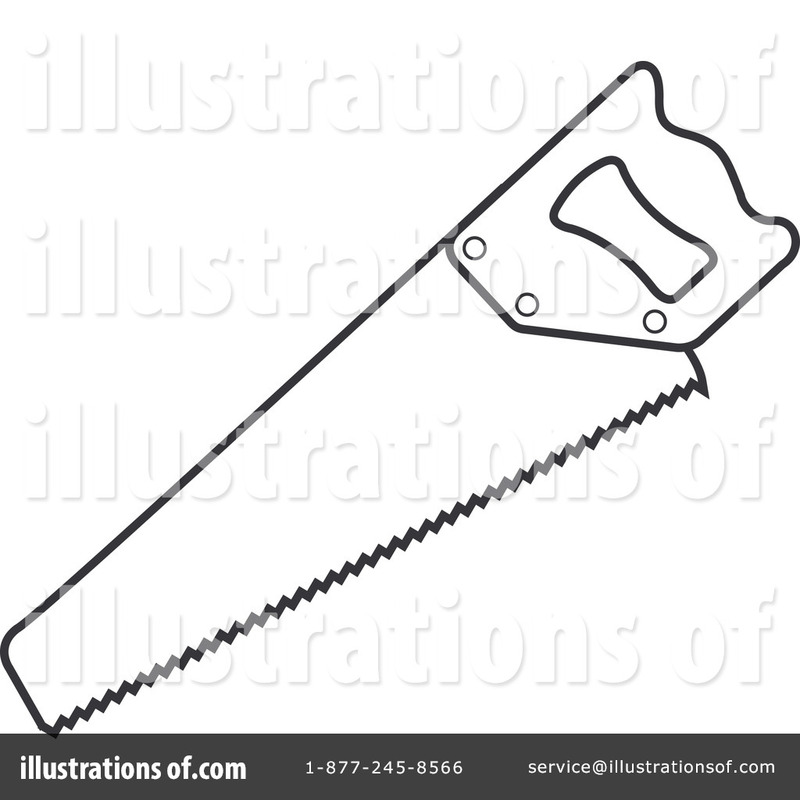 Consider these pictures of fish teeth and saws – do students find the resemblance obvious? Daedalus throws Talos from the Acropolis – a deathly height! It is the focal point of Athens and very impressive to look up at. It would have been even more impressive when the buildings were intact! This photo, taken from the Philopappos hill in Athens, gives an idea of the scale of the hill. In some versions of the myth, Talos (otherwise known as Perdos) turns into a partridge instead. These birds are also ‘scared of flying’ as they stay on the ground. Here is a picture of a partridge, and here is a picture of a lapwing. Which do your students like better? Talos may have been the first to create the labyrinth, but since then the motif has been used and reused many times over. We cannot know the first exact design of the labyrinth but now labyrinths and mazes come in many different forms. Pilgrims used to walk the labyrinth design on the floor of Chartres Cathedral. 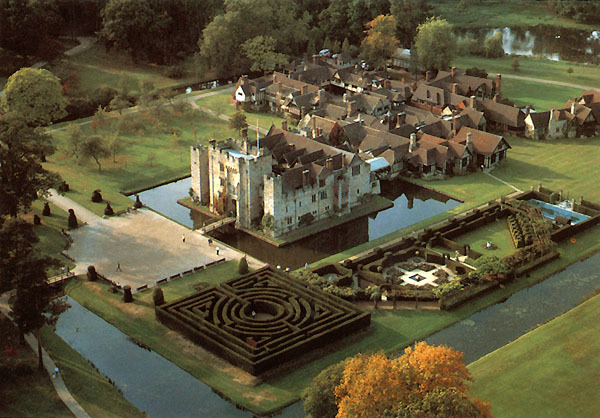 Hever Castle, Kent, has a maze/labyrinth made out of high-grown hedges in its extensive gardens. This was a fashion at one point and often rich houses or castles had ‘labyrinths’/mazes. In the half-acted, half-animated film Labyrinth (starring David Bowie), the teenage girl protagonist Sarah has to find her way through a large and confusing labyrinth that has the ability to change its own paths! In other versions of the tale, which teachers should be aware of in terms of appropriateness for their learners, Pasiphae conceives her Minotaur baby through having sexual relations with a bull. Poseidon was angry at her husband and cursed her with an unnatural desire for a bull that couldn’t be denied. Daedalus helps her here by creating a wooden cow-costume for her to hide inside and so trick the bull into mating with her! This version is alluded to in this description of Pasiphae. It is also the version adopted by Ovid since in book VIII Scylla insults Minos’ wife Pasiphae and her unnatural union. Here is a modern statue of Theseus fighting the Minotaur by Jean-Etienne Ramey, c. 1826. It is currently displayed in the Tuileries Gardens, Paris. The way the head of the bull ‘attaches’ onto the human body from this angle looks grotesque and unnatural, with saggy skin at odds with the outlined muscles of his arms and torso. But look at how small his horns are! Questions for students: How threatening does the Minotaur look here? What do you feel when you look at this sculpture? Are you happy that Theseus is winning or do you feel sorry for Asterius? How much of a monster do you think Asterius was? Consider both the way he devours the men sent to him (and refuses to eat any other meat once he has tasted human flesh) and how he is seen by his mother and father – his screams sounded as if ‘a human was dying, not a monster’, but this leads Minos to believe that it is Theseus who is dying; he thinks of his own son as a monster. 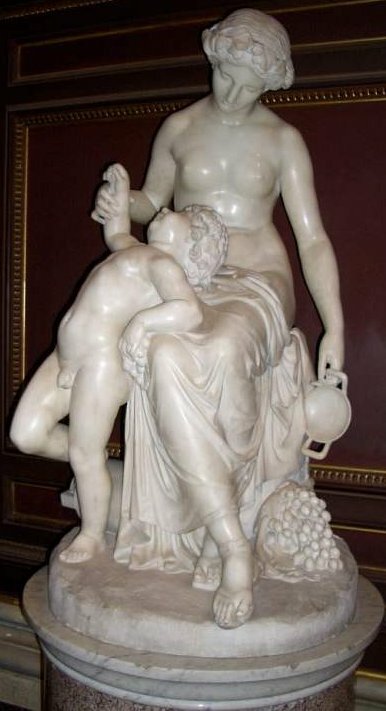 Yet when Pasiphae finds Asterius’ severed head she cradles it. When he is being killed, Asterius wants to beg for mercy – but he doesn’t have the human words to do so. Actaeon suffers a similar death. Is Actaeon more or less human than Asterius? What difference does it make that Actaeon used to be fully human whereas Asterius has always been a half-breed? Titian painted the scene where Bacchus (Roman name for Dionysus) swoops down to rescue Ariadne and make her his queen after she has been abandoned by Theseus. In the top left of the painting you can see the new constellation – the corona borealis – shining in the sky even though it is day time! Ariadne is not the only girl who betrays her family to help a foreign stranger. Scylla (at the beginning of book VIII of Ovid’s Metamorphoses) betrays her father and her kingdom to King Minos whom she has fallen in love with whilst watching the battle from a high tower. Minos is disgusted with her act and abandons her to the wrath of her father. Medea falls in love with Jason and helps him to steal the golden fleece, running away with him. Although she becomes his wife, their matrimony doesn’t last for ever as Jason eventually takes a new bride (Glauce) and Medea, in a fit of rage, kills both Glauce, her father Creon, and Jason's (and Medea’s!) children! For these acts, she is forced to run away and live as an exile. Questions for students: Bearing these other women in mind, do you think Ariadne was at fault for what she did? Do you think she deserved the punishment she received? A brief outline of Dionysus’ birth and life. Depictions of the god range from archaic to modern, the god being old and the god being young. Usually he is associated with grapes and wine and revelry, sometimes accompanied by wild beasts. 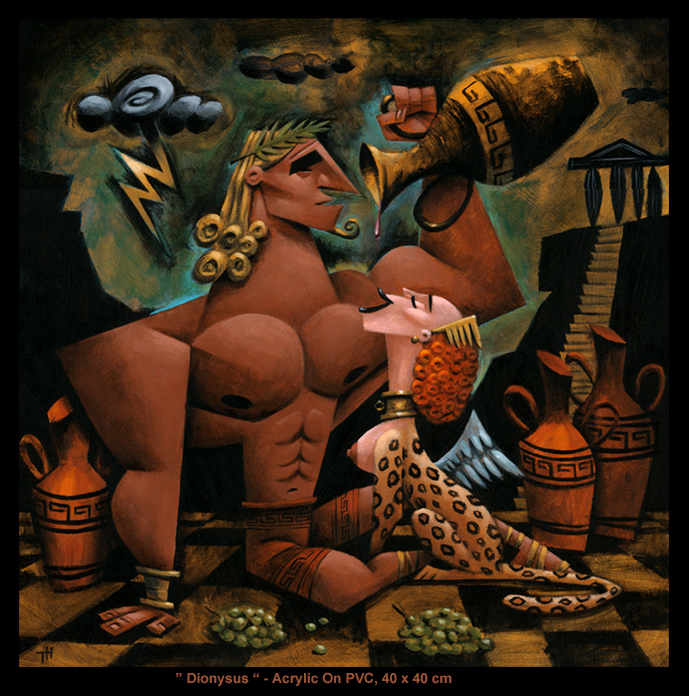 Discuss with students how they would portray Dionysus. The most famous painting of Icarus’ fall is by Bruegel. Icarus himself is just a small splash in the water and a pair of flailing legs – ask students why they think Bruegel chooses to depict him like this? It is such a well-known painting for this myth that poems have been written about the painting! These are Musée des Beaux Arts by W H Auden and Landscape with Fall of Icarus by William Carlos Williams. They both pick up on the suggestion suggestions that Bruegel’s painting of the Fall of Icarus is a reflection on the insignificance of man (‘Life goes on’). Do your students agree with them that this was the message Bruegel desired to tell his viewers? Joos de Momper’s The Fall of Icarus 1564-1635 is closer to the text in Ovid since the Roman poet writes that the fisherman and ploughman looked at the flying figures and were amazed! Icarus here is paler – an attempt to show that he is further away, that the blinding light of the sun is obscuring him, or a technique that foreshadows his imminent death? You could discuss with students why the artist might have chosen to deviate from the narrative of the story in this way. In this more recent representation of Icarus his wings seem to melt into the sun and become sun-rays. The figure of Icarus occupies most of the space, in contrast to Momper’s and Breugel’s paintings above, but his back is turned to us. Daedalus often comes across as cruel in this myth! Not just to Talos but to the bird in the labyrinth too! Discuss with students if scientific advancement justifies cruelty. This is still a modern debate e.g. animal testing for medicines or make-up. 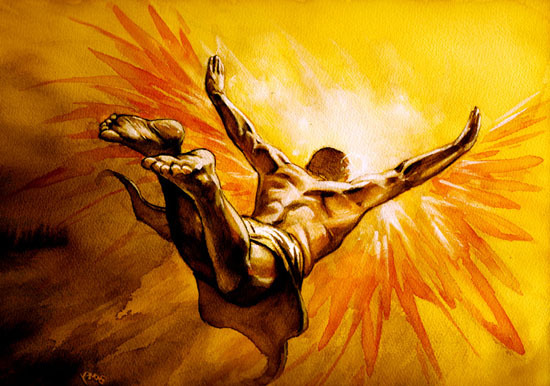 Daedalus is undeniably clever and resourceful though (he achieves human flight!). How genuine do your students think Daedalus’ plea is not to be put into the labyrinth? dum petit infirmis nimium sublima pennis | Icarus, aequoris nomina fecit aquis. As Icarus sought to rise too high on unsafe wings, he gave his name to the watery waves. A fisherman catching fish with a trembling rod or a shepherd leaning on his staff or the ploughman on his plough-handle, saw [Daedalus and Icarus] and was amazed – and he believed that those who were able to master the sky must be gods. And now already (with Delos and Paros passed by) Samos, a land sacred to Juno, was on their left hand side and on their right was Lebinthos and Calymne, rich in honey. 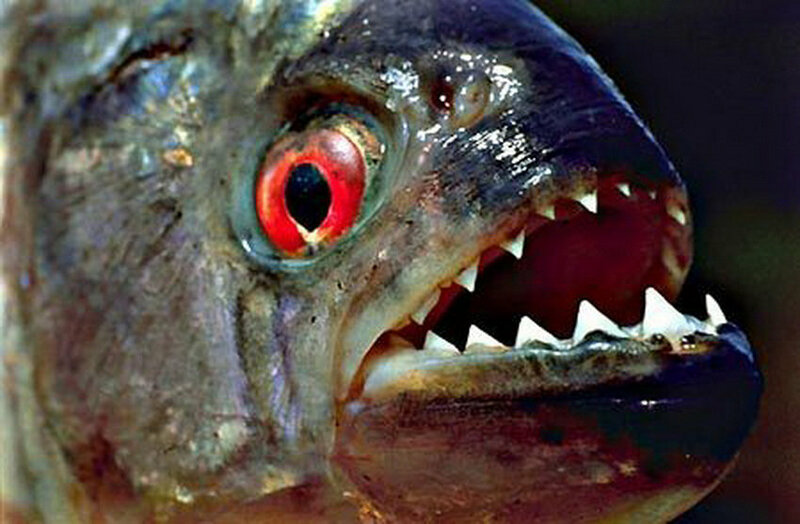 Someone, whilst catching fish with a trembling rod, saw [Amor] and put aside the work he’d begun. And not already (with Naxos and Paros and Delos, beloved of the sun-god, having been left behind) Samos was on the left hand side and on the right was Lebinthos and Calymne, shady with trees. Questions for students: Why do you think Ovid made a connection between these two works? Does the connection work well? What, if anything, does it add to our understanding of Daedalus and Icarus’ flight? Horace in his Odes (2.20) writes that he himself will be transformed into a swan (album mutor in alitem) and will be more famous than Icarus (iam Daedaleo notior Icaro)! Daedalus, the story goes, fled the kingdom of Minos, rashly entrusted himself to the sky on fleet wings and directed his novel journey towards the chilly Bears [i.e. the North]. He came to earth at the colony of Chalcis. To celebrate his return to Italy, he dedicated the oarage of his wings to you, Phoebus, and built an enormous temple. On the doors: the death of Androgeos. Next: the Athenians ordered to pay the pitiable penalty of seven of their children’s lives each year. The urn is set up to draw the lots. The Cretan isle faces them across the sea. Here, Pasiphae’s cruel love for a bull and substitution of her body and the hybrid offspring and biform child, the Minotaur, are contained, reminder of a forbidden copulation. Here is the labour, there the house and the undecipherable maze. But Daedalus, pitying the great love of the poor queen, himself explained the treacherous puzzle and solved it, guiding footsteps in the dark with a thread. You too, would have a large part in this work, Icarus, had grief allowed. Twice the father tried to depict his son’s fall in gold, twice his hands fell away. In an episode in Batman: The Animated Series titled 'If You're So Smart, Why Aren't You Rich? ', the Riddler recreates the Minotaur's labyrinth as one of his riddles to be solved by Batman and Robin for saving a businessman's life. 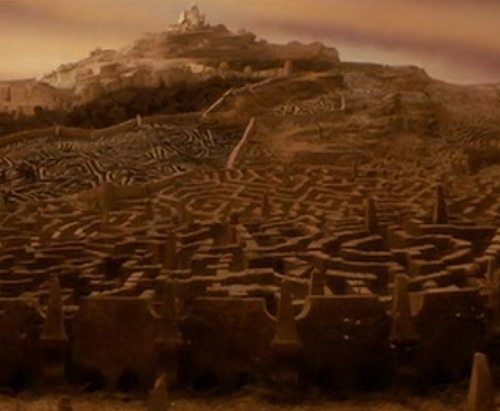 The maze has a robotic Minotaur in its center, which provides the final riddle for solving the maze. The Minotaur appears in the Percy Jackson and the Olympians books The Lightning Thief and The Last Olympian and also the first book's film adaption Percy Jackson and the Olympians: The Lightning Thief. The Lion, the Witch and the Wardrobe by C. S. Lewis includes a race of Minotaurs who are followers of the White Witch. The popular series The Hunger Games has a similar system sending youths every year to their deaths. Katniss, the female protagonist, volunteers herself just as Theseus does! The novel The Minotaur Takes a Cigarette Break by Steven Sherill depicts the Minotaur five thousand years after leaving the Labyrinth. The Minotaur is now in the American South, living in a trailer park, and working as a line cook at a steakhouse! A 2006 horror movie entitled ‘Minotaur’ follows a group of tributes as they fight against the Minotaur. Although the names are different, it is clearly based on the Theseus myth. Take a look at the trailer. The Minotaur also features in ‘the earth bull’ episode of the Atlantis TV show.